Pride Jazzy 600 ES power wheelchair features patented Mid-wheel 6® technology and Active-Trac® ATX Suspension for an extraordinary level of performance, maneuverability and the tightest turning radius in the Jazzy line. Mid-wheel 6 technology incorporates ATX Suspension for extra stability with independent front casters that raise and lower as needed to compensate instantly for changes in terrain and ease of transitions. 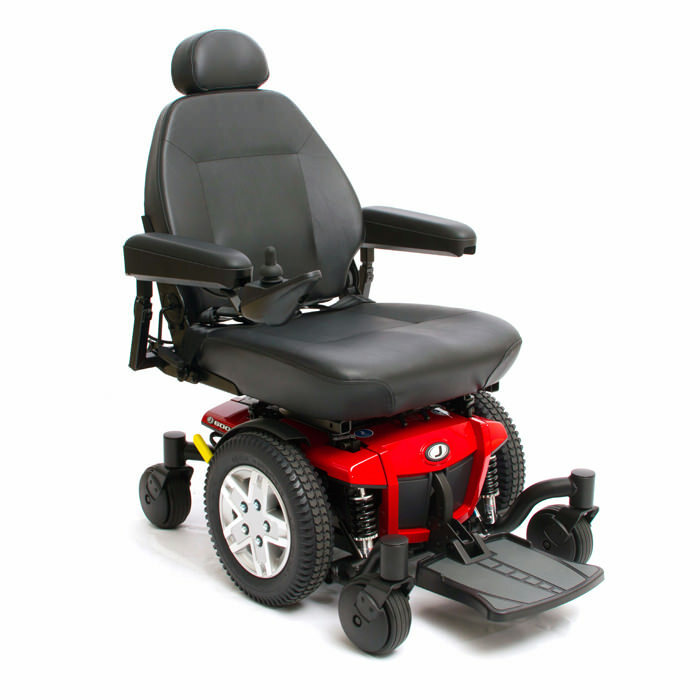 The Jazzy 600 ES offers true all-around performance indoors and out, transitions curbs smoothly and is rated for climbing and aggressive performance, making it an excellent power chair choice. Weight of Heaviest Piece 4 124 lbs. Standard Seat Size 18" x 18" - 20" / 20" x 18" - 20"
Lifetime Limited Warranty: Main frame. 13-Months Limited Warranty: Drive Motors, Charger Assembly, Anti-tip forks, Caster forks, Controller, Metal seat framing, Accessories, Joystick, Brakes (electronic function ONLY), Motor/gearbox assembly, Bearings and bushings, Plastic components (excluding body), Electrical Harness, Front rigging mounting brackets.